UK house prices are an ever-popular topic of conversation, particularly in Battersea and Brixton where property values have grown by more than 10% each year for the past five years. Go back further and in Brixton, for example, homes sold for an average price of £197,601 in August 2000, according to the Land Registry. In that time, the area has undergone significant change. Alongside its vibrant, multicultural communities, bustling markets and the creative energies that Brixton residents have long been known for, new retail developments – such as POP Brixton – and modern homes have been created. The Ofsted-rated schools and green space on offer in Battersea, meanwhile, continues to attract families and young professionals looking for the perfect mix of local amenities on the doorstep yet still be within easy reach of central London. How much is a home in Battersea or Brixton? The value of property in both the areas that Eden Harper has an in-depth knowledge of depends on a range of factors, including whether it is a house or flat, the size of the property, its condition, location and even whether it is leasehold or freehold. To help you calculate how much your home in Battersea in Brixton is worth, Eden Harper looks into the latest UK House Price Index for the whole of England plus the London boroughs of Wandsworth and Lambeth. As a leading independent estate agent in Battersea and Brixton, Eden Harper is aware the UK House Price Index is not the only measure of local property values. Unlike the Nationwide House Price Index or the Halifax House Price Index, however, the UK HPI uses sales data from the Land Registry and is calculated by the Office for National Statistics. The UK HPI also takes into account transactions involving cash and mortgages to calculate changes to values compared with the previous month and the same time 12 months earlier. Property values in Wandsworth rose 0.4% between May and June, according to the HPI data for August, which covers transactions that were completed in June. The average price of a home in Wandsworth now stands at £606,891 – 9.02%higher than the figure for June 2015. Flats and maisonettes in Wandsworth sold for an average of £519,812 in June – 0.27% more than the average price of £518,420 this type of property sold for in May and 8.79% higher than values in June 2015. In Lambeth, average property values slipped 0.19% between May and June to stand at £514,820 – 10.05% higher than average values in June 2015. Flats and maisonettes in this borough sold for an average of £449,852 – 0.3% lower than average sold prices achieved in May but 9.82% higher than values in June 2015. In the whole of England, the average sale price of a home in June 2016 was £229,383. 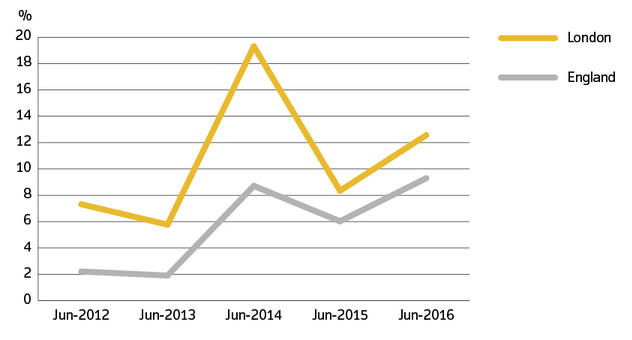 This is 0.8% higher than the previous month and 9.3% more than average values in June 2015. 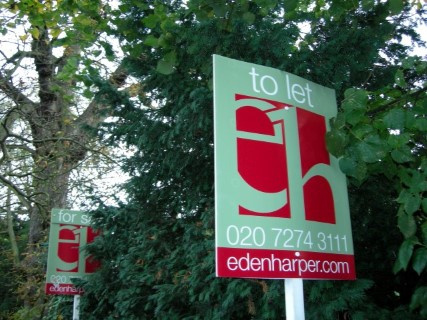 For an up to date valuation of your home in Battersea or Brixton, contact Eden Harper today. After registering your details, a property expert from Eden Harper in Battersea or Brixton will come to your home, provide the most accurate valuation and explain how we will best market the flat or house so it achieves the highest possible sale price.